The downing of a Russian Su-25 on Saturday highlights the dangers facing American A-10s in Syria and Afghanistan. 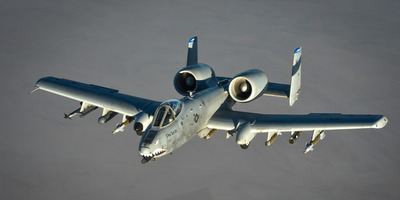 A-10s are at risk from MANPADs and other anti-aircraft systems larger than 23mm. The risk is greater in Syria than Afghanistan. 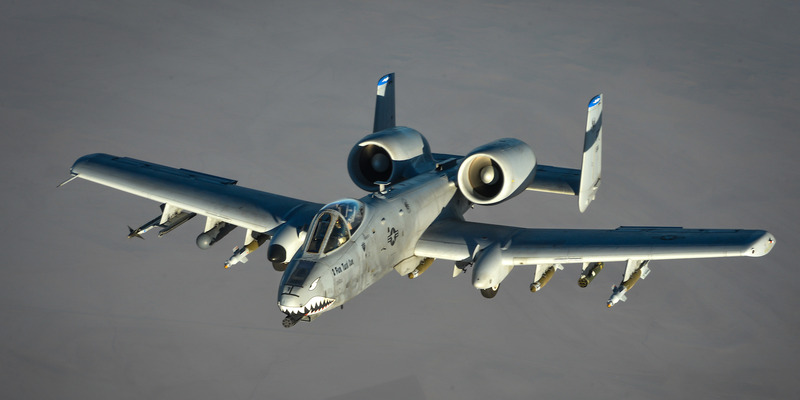 The downing of a Russian Su-25 over the weekend highlights the dangers facing the US’ beloved A-10 Warthog in Syria, and possibly even Afghanistan. An Su-25 was shot down over Syria’s Idlib province on Saturday by rebels using what Russian authorities say was a MANPAD. The pilot safely ejected, but got into a firefight with rebels on the ground before blowing himself up with a grenade to avoid being captured. They’re both heavily-armoured aircrafts capable of delivering a variety of bombs and missiles. 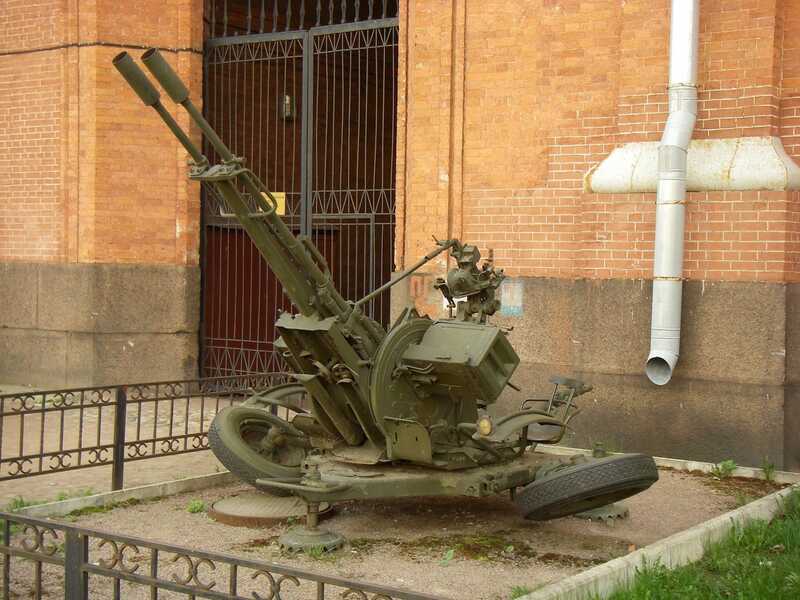 Both are also armed with a 30mm Gatling gun and often used for supporting ground troops at low-altitudes. It’s at these times when they’re most at danger, as MANPADs are not effective at altitudes above 15,000 feet. Neither A-10s nor Su-25s are equipped with radars that can detect heat-seeking missiles from MANPADs, Bronk said. They’re only equipped with radar warning receivers. As such, the only defensive measures an A-10 pilot can take are to constantly scour the ground for any fired missiles and then launch countermeasures and try to manoeuvre away. Luckily for the US, A-10s have two distinct advantages over Su-25s: thicker armour, and an exhaust system mounted above the tail to stymie any incoming heat-seekers. But it’s no guarantee, Bronk said. It’s not just MANPADs that Warthogs need to fear, Bronk said. 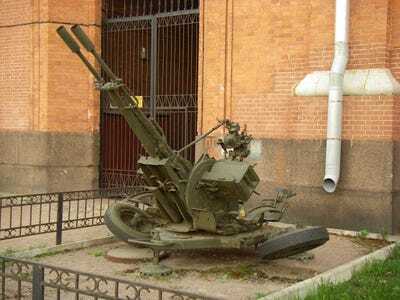 Any anti-aircraft system larger than 23mm could possibly take out A-10s, such as the Russian-made ZU-23-2 twin-barreled autocannon. “But that could change,” Ahmad said, adding that the Taliban could acquire them from Pakistan, Iran, or Russia as the US ramps up its forces in the country. “We are always concerned for the safety of aircrews and as such, we ensure appropriate measures are taken to ensure the exposure to threats like this are minimized,” Gresback said. Operation Inherent Resolve in Syria did not respond to Business Insider’s request for comment.